One Owner. Dealer maintained and serviced. Fully inspected. Full remaining 4 year 50k mile bumper to bumper warranty from Maserati. 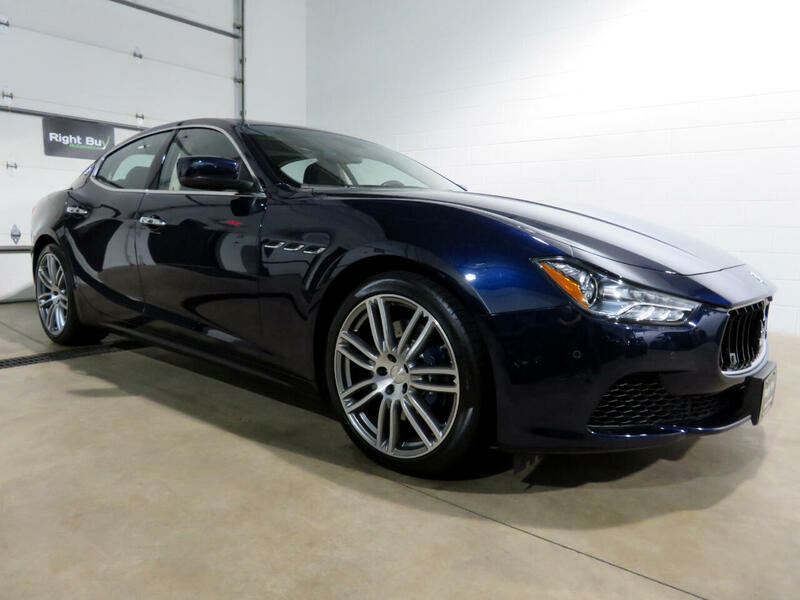 This Ghibli S Q4 features the Sport Package; Premium Package; Luxury Package and Compulsory Package. This Ghibli is powered by a 404HP/406TQ Twin Turbocharged Ferrari V6 mated to an 8 speed ZF automatic transmission. Additional Features included are performance suspension; sport foot pedals; power heated/ventilated front driver and passenger seats w/memory; power adjustable steering column; Maserati Touch Control unit 8.4-inch touchscreen display; including: satellite navigation; radio; CD/DVD audio/video player and Bluetooth audio/phone; premium audio system; dual zone automatic climate control; rain sensing automatic wipers; 20" Urano alloy rims; alcantara roof lining and pillars; Maserati Q4 all wheel drive; 6 piston Brembo brake calipers in the front and 4 piston in the rear; keyless entry with push button start; remote start; power sunroof; Bi-xenon front headlamps with Adaptive Front Lighting System (AFS); rearview camera; auto dimming mirrors; sport paddle shifters; painted brake calipers; HomeLink; front and rear parking sensors; power foot pedals; headlight control and much more. Every vehicle at Right Buy comes with a full inspection report, CarFax vehicle history report and low rate financing. Make an appointment to view in our heated showfloor. Every vehicle at Right Buy comes with a full inspection report, CarFax vehicle history report and low rate financing. Set an appointment to view the vehicle in our heated indoor show room. Extended warranty options available.